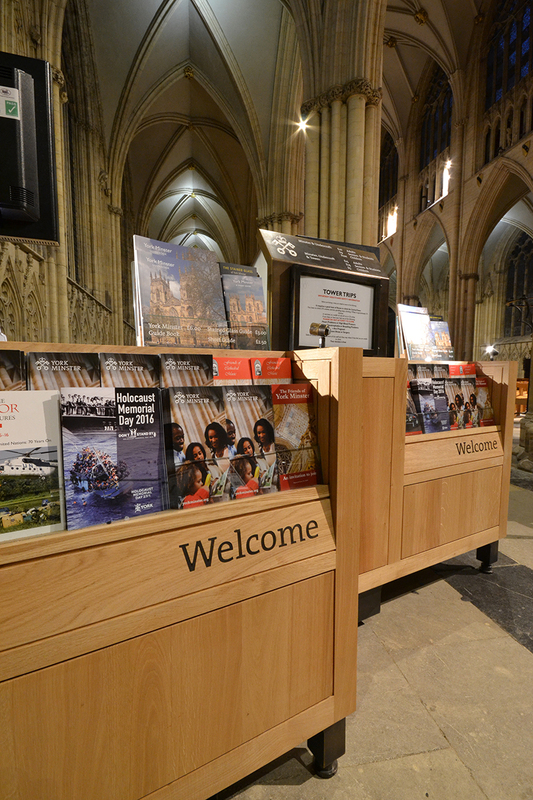 As part of a contract to rejuvenate York Minster’s means of directing and informing its visitors, NRN Design were contracted to design welcome desks to be placed inside the Minster. 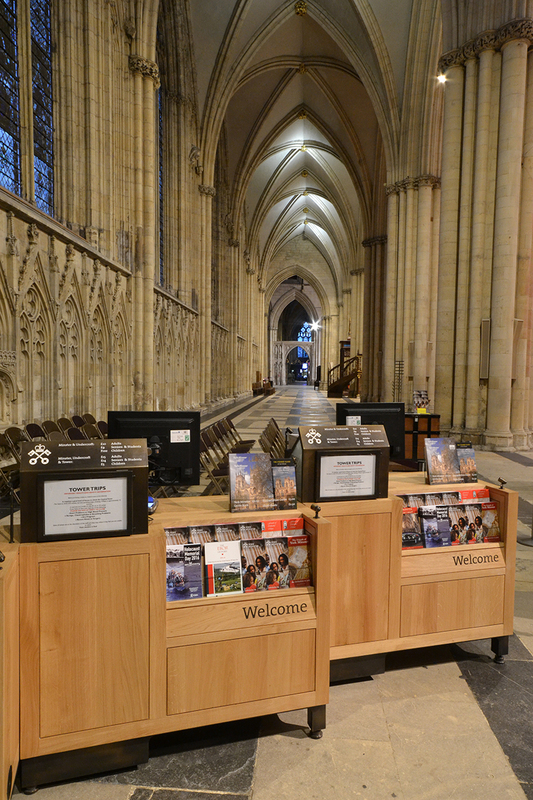 Because of the building’s significant architecture, it was important to design desks that would complement the grandeur of the space without themselves being a feature. 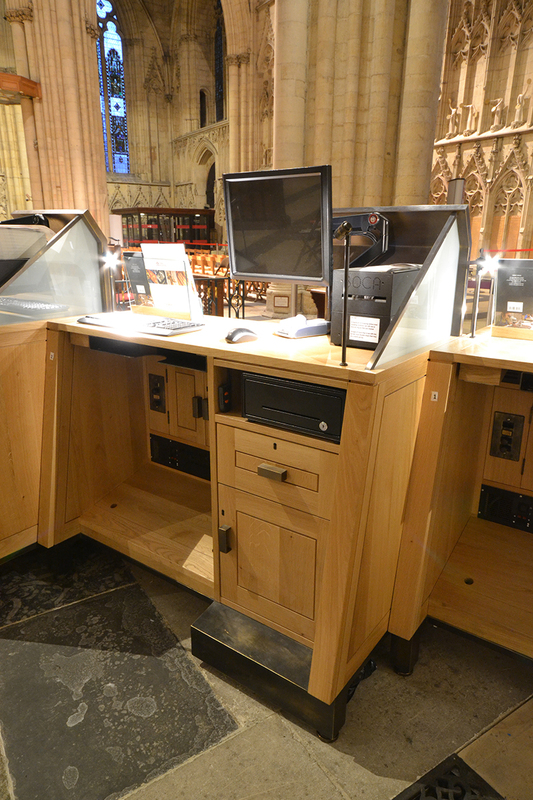 We chose quarter sawn oak for the desks as its natural aesthetic complemented the stone interior. 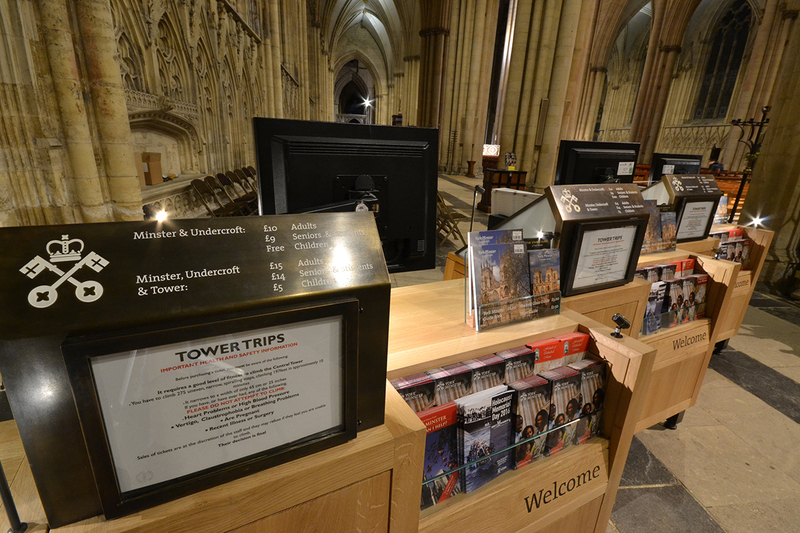 The price displays are constructed from aged brass, to complement the exterior signage. 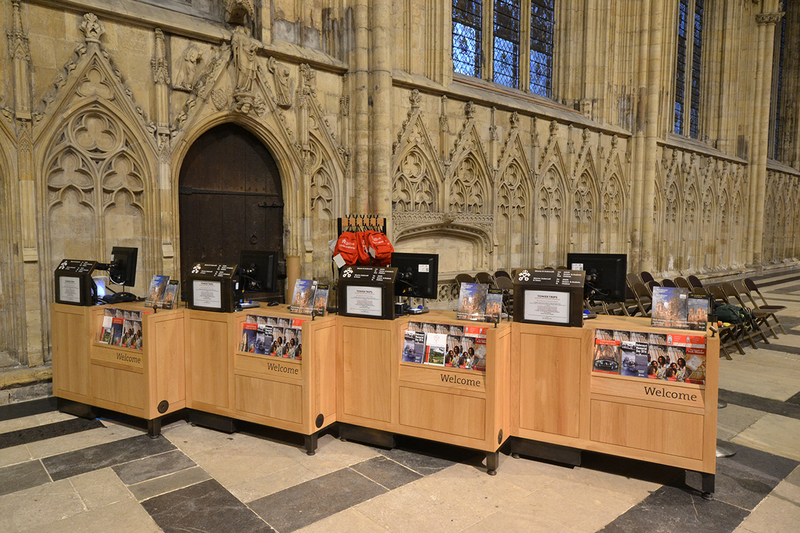 The desks have a clear shelf for brochures which encourages visitors to learn more about the Minster. 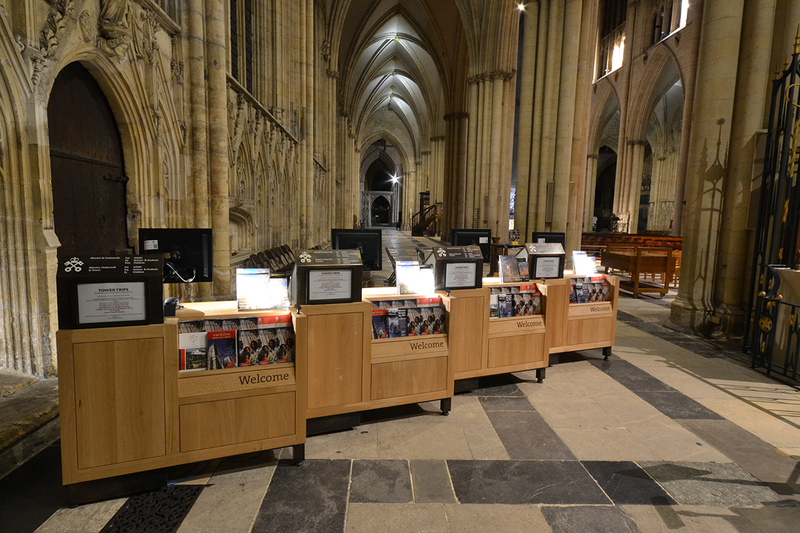 The desks are also practical for staff; they are on castors so are moveable depending on the varying needs of the space, and the area underneath the desk is lit to aid those using it. 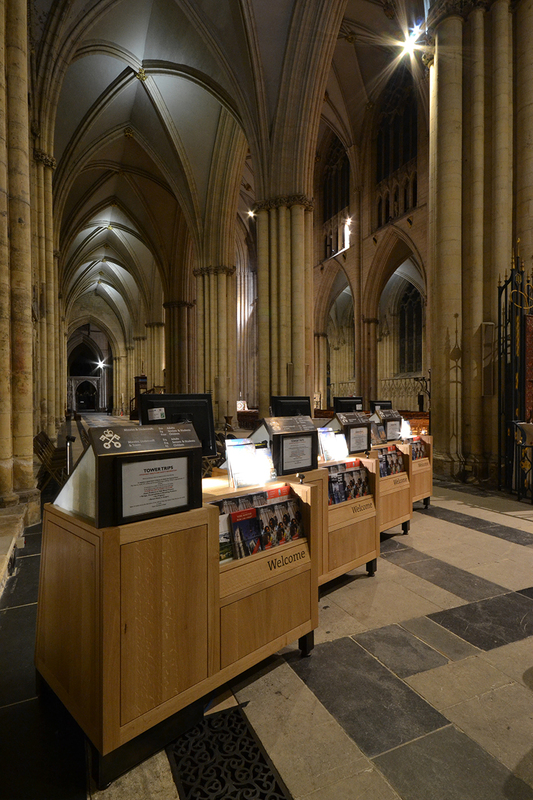 The desks also have a lockable cupboard and drawer, providing a convenient secure space for each user.